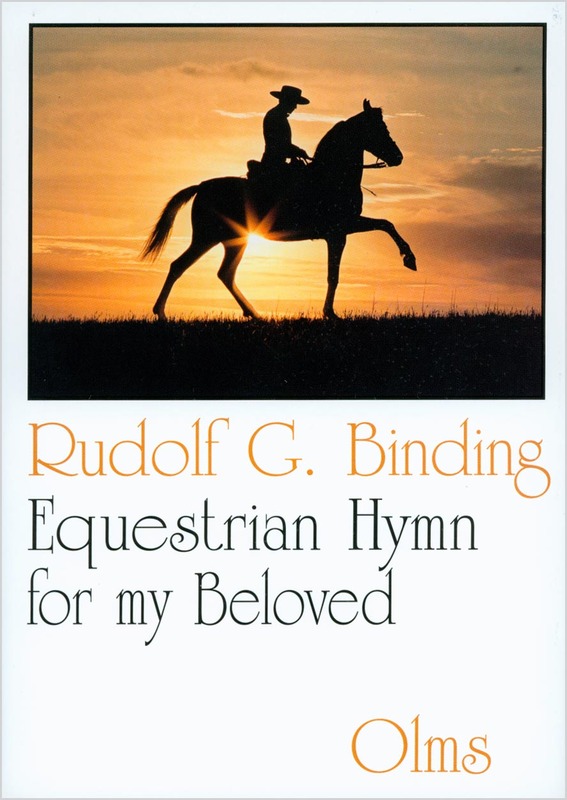 The brief pages of Equestrian Hymn for my Beloved were likely never meant to be published, but were indeed an equestrian guideline for the author's loved one. Nonetheless, in 1928 Binding received a silver medal at the Olympic Games for this book, when still performance in art was honoured. The pages are filled with wisdom, sensitivity and passion for all that is beautiful and worthy in horsemanship. Imagine reading letters written by a master horseman - to his true love - filled with love, affection, and wisdom about all aspects of horsemanship. This is better than any romance novel - at least to a horsewoman! Attention men: this book will score you HUGE points in the romance and sensitivity department. A great gift for your sweetie. "Be on guard: your horse reads you and your most secret thoughts. If you are not intent in reigning over him, he will not obey you; if it is not your will to be stronger, the extraordinary power of the best will defy you. Your call, your click of the tongue, your spurs, your whip shall not belie you; you wanted this or that, but you only wanted it halfway. Your horse will punish you for lying. if you waver, he will go his own way. if you are courageous and in good spirit. If you are unsteady, he will be unsteady. he will slow down and eventually stand still. his feet will hardly seem to touch the ground."